We are showing realtime interest over time, similar keywords and top Google searches when you search a product by keyword. Search trends right from our trends page. Follow and unfollow trends in their own personal area, dedicated to this. 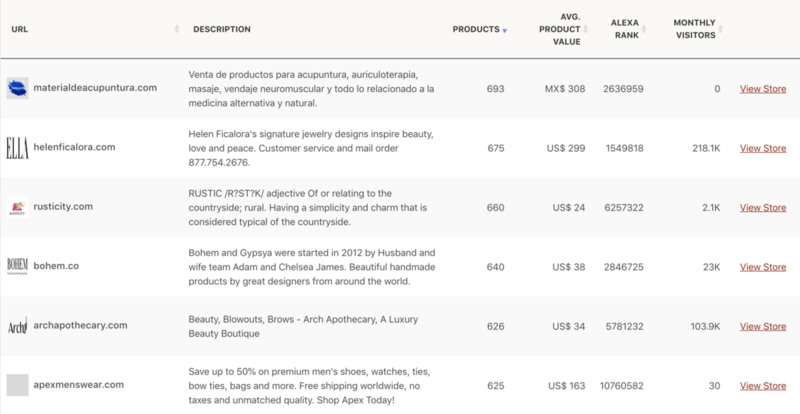 Browse high-level trends we regularly spot by tracking millions of products. Easily find products related to any trend. 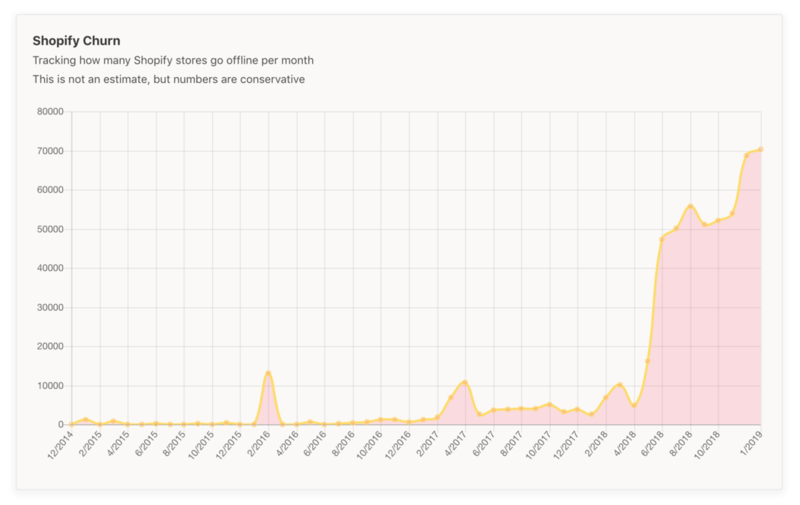 We now track new stores activations and churn on the Shopify market, on a monthly basis. It's a very useful data for hedge funds and public market investors that are investing in the Shopify stock, aka SHOP (NYSE). 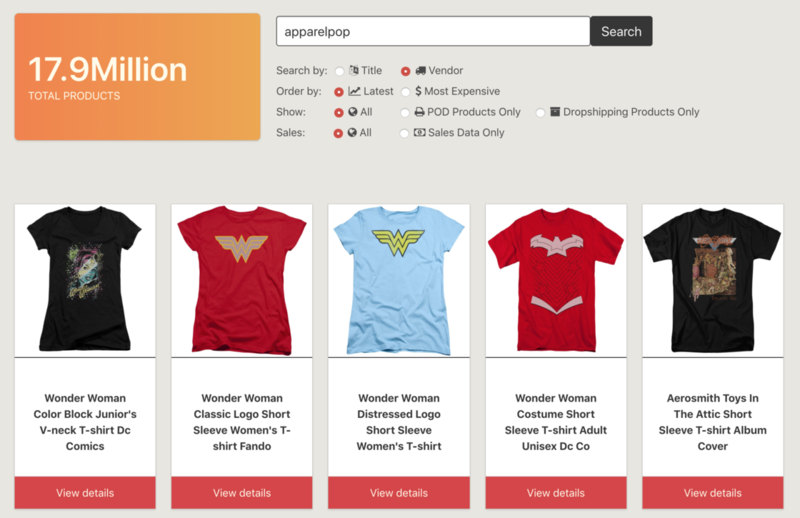 We just introduced new features specifically for dropshipping. 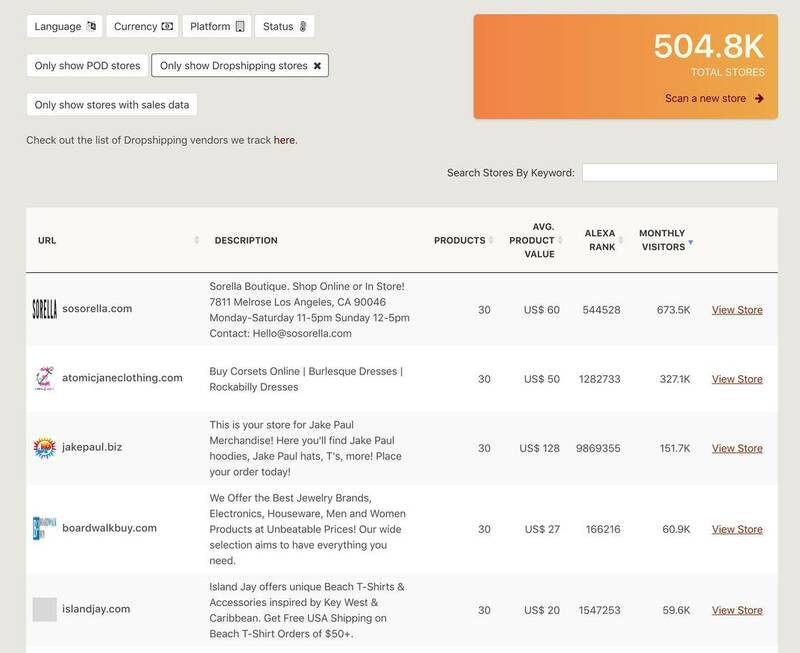 1) You can easily filter and sort stores that are doing dropshipping (only 100% verified) (see screenshot). 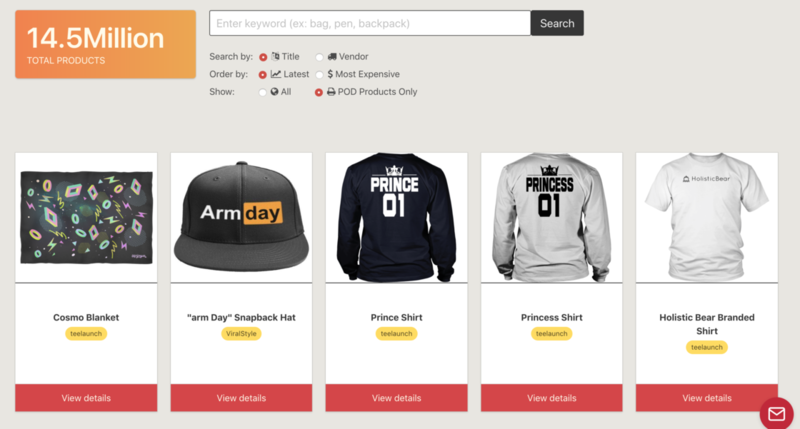 2) You can easily filter and search dropshipping products (only 100% verified). We just introduced new features specifically for store owners who do Print On Demand. 1) You can easily filter and sort POD stores. 2) You can easily filter and search POD products. To have success in dropshipping, you need to deal with a reliable supplier. Here are the top free dropshipping suppliers across the world. Now for each hot product you can do a granular search of related Facebook interests, right inside the platform. Interests are handily sorted by audience size. We will always suggest you some interests related to the product, but now you can also find your own! Now, on the Pro plan, you can check restocks and returns by variants. 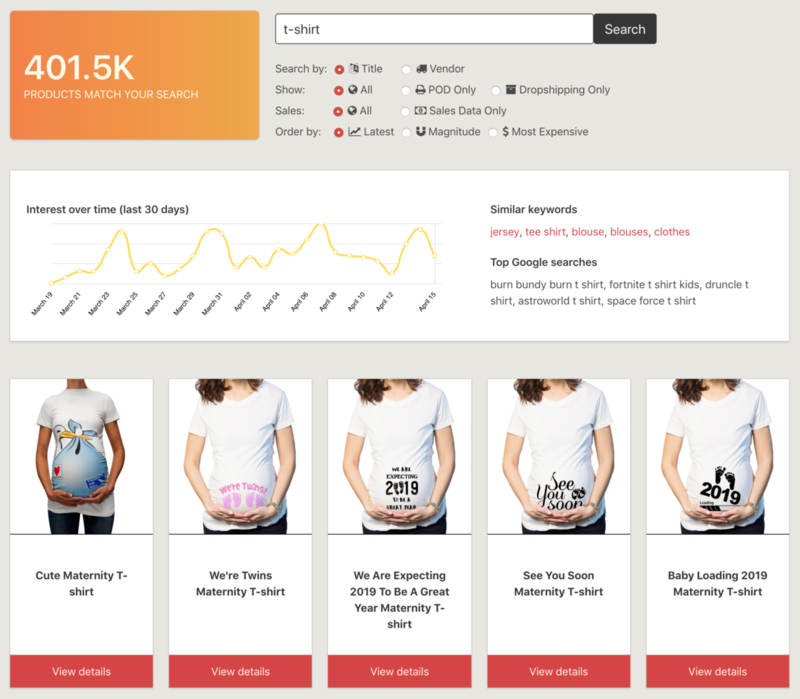 You can now search products (and thereby stores) by vendor. You can also see a list of the top vendors currently used by stores. These are exclusive features of the Pro Plan. The more products a store has, the higher chance that store is making money. Now, on the Pro plan, you can easily store with a lot of products and spot multi brand retailers. Surely Angage will start publishing changelogs very soon.